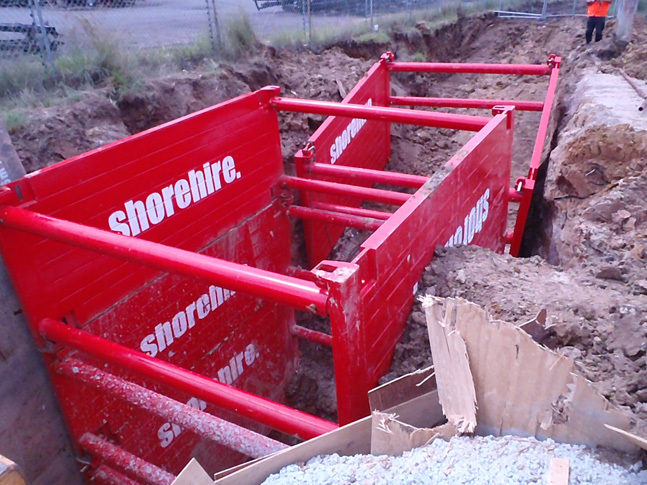 Our customer requested assistance with shoring during completion of a drainage contract in Penrith. The job required upper and lower trench support to a working load limit of 60 kN. 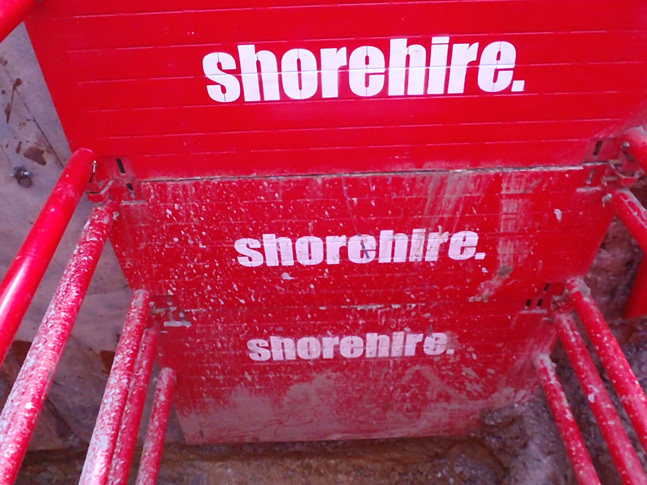 Shore Hire assessed the job requirements and delivered a number of Shore 4m trench boxes and Shore 3m trench boxes, with both lower and upper extension units. These lightweight and versatile trench shoring boxes enabled fast assembly and installation, handled by a mid-range excavator. 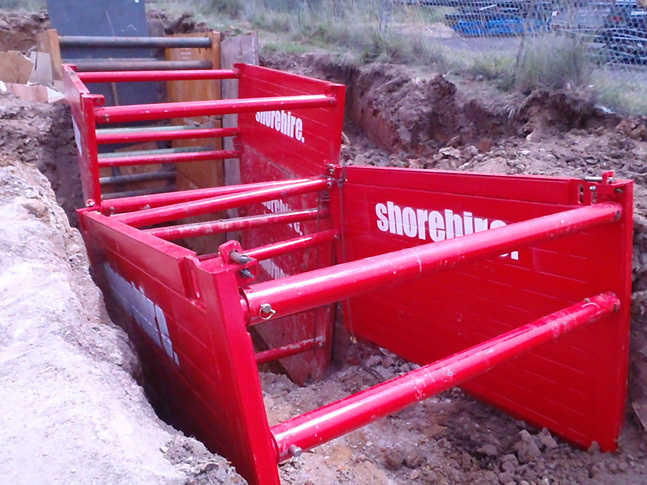 With Shore Hire’s trench boxes delivered to site, the pipe works were rolled out efficiently with minimal time spent on trench shoring installation – the client instead was able to get on with the tasks of the contract. 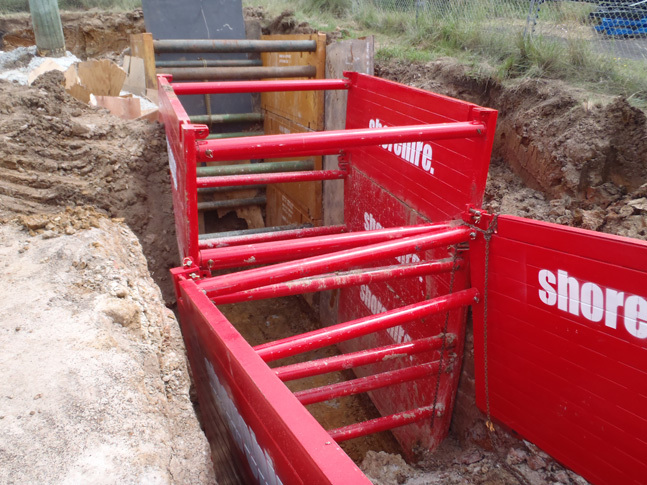 Shore Hire’s versatile 3m and 4m trench boxes enabled the site to be adequately shored at multiple heights and levels.